Growing up, my dad maintained a lush garden behind our house. Unfortunately, I did not inherit his green thumb, which might be the reason why I am so passionate about making paper flowers and botanicals. 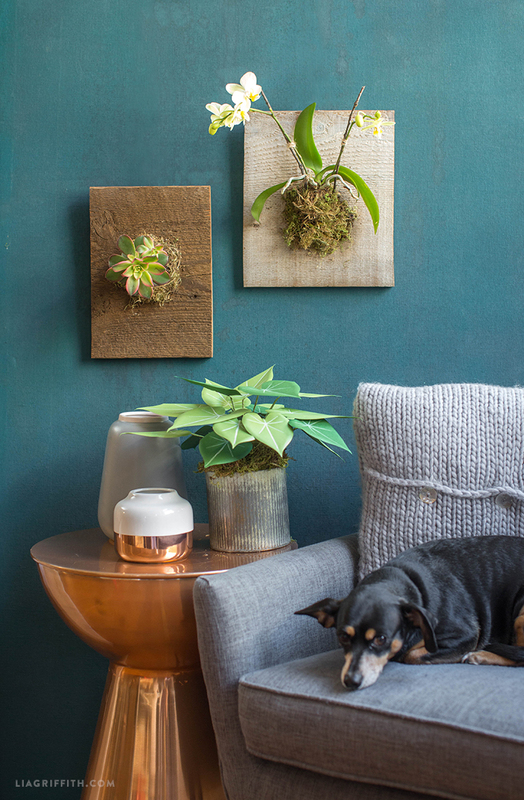 Living wall art has been a hot trend in home design over the last couple of years, and I love that it can provide an option for growing fresh plants without the effort it takes to plant a full garden. And it can be so pretty! 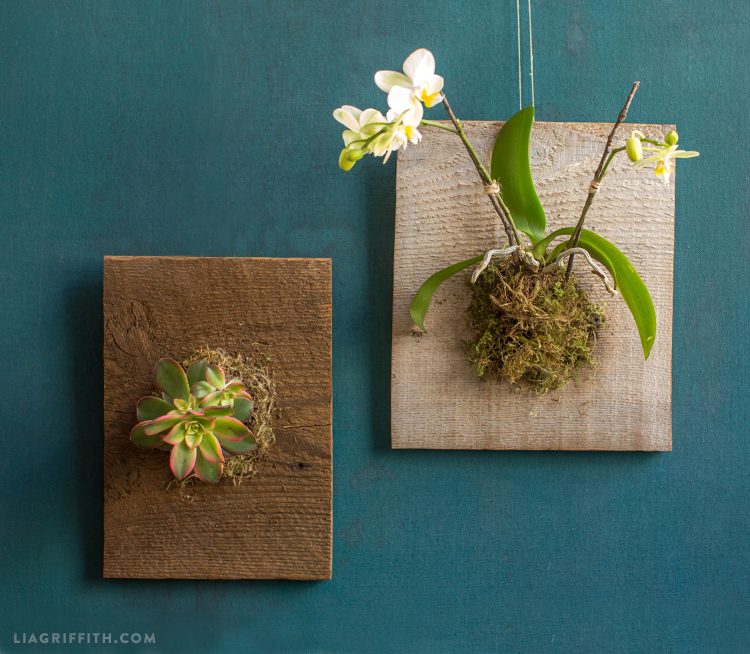 Today I am sharing a tutorial to make your own mounted orchids and succulents. 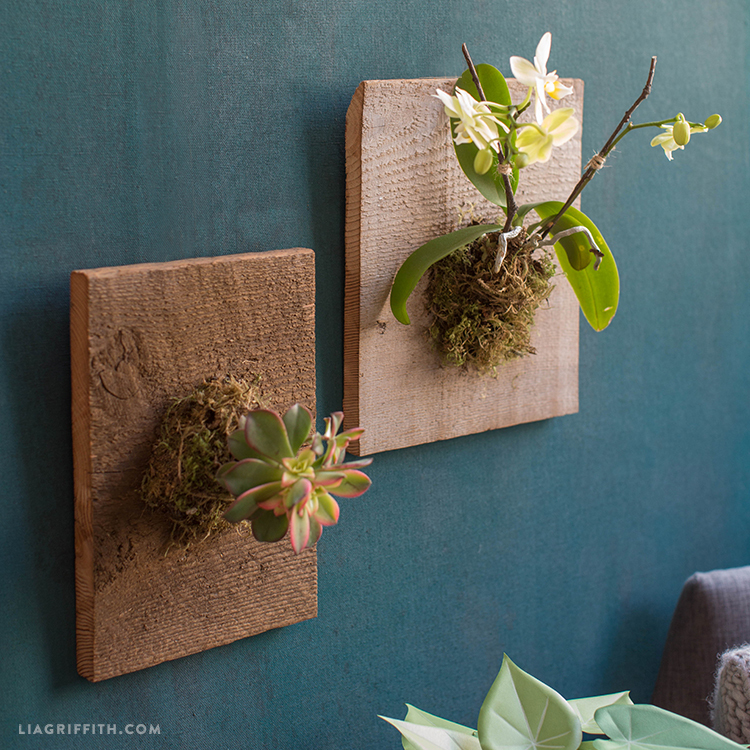 Making mounted plants can be a really fun way to create a beautiful floral home decor piece that is handmade with love. 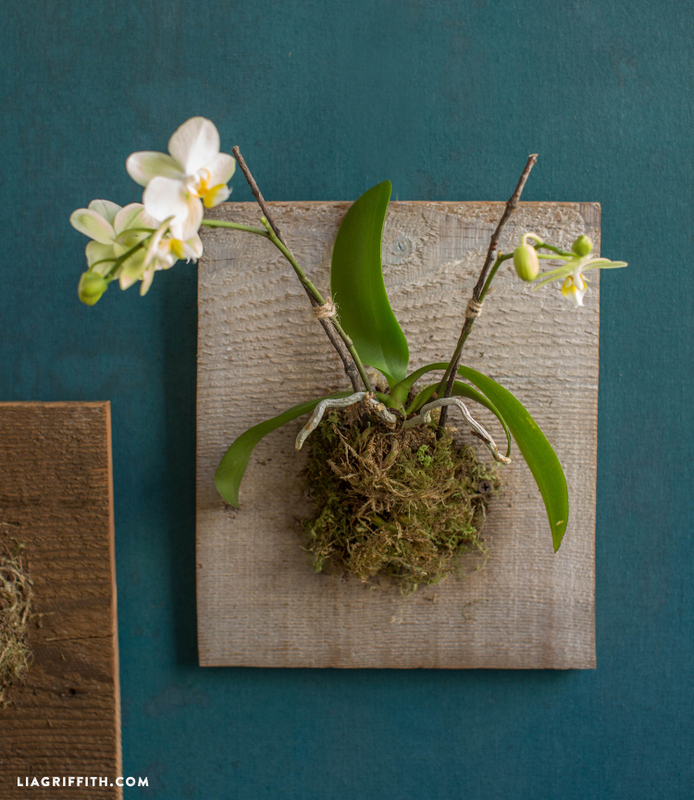 Begin making your mounted orchids or plants by selecting your wood. I went down to my local salvage yard, Salvage Works, and picked up some 1 x 12 pieces of lumber (1 inch thick, 12 inches wide). You can have the wood cut into specific sizes at the lumber yard, or you can cut the wood yourself using a skill saw. Be sure that the wood is untreated. 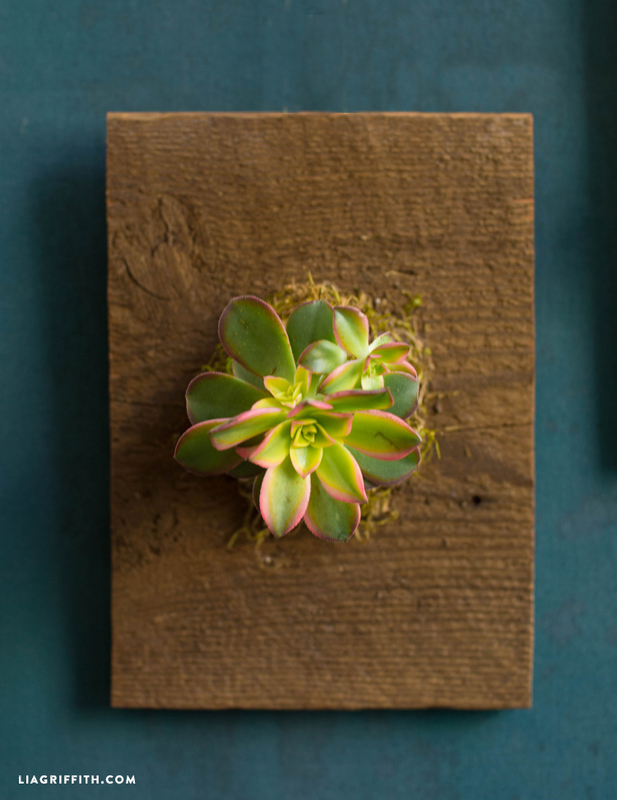 The amazing thing about mounting plants is that eventually the plants will begin to grow into the wood, but this cannot happen if the wood is treated. Before you can start mounting the orchid, you will alsos need to prep the wood. Using a scrub brush (anything without metal bristles), brush away any excess dirt and dust from your wood. Next, use sand paper to smooth out the sides and back panel of the wood. I used 220 grit sand paper to make it as smooth as possible. Once your wood is ready, attach a wall hanger to the back of your wood, which you can pick up at any hardware store. Now you can begin to mount your plant of choice. Drill screws or nails in a circle in the center of your piece of wood. The size of the circle depends on the size of your plant, but it should be a bit wider than the amount of soil that will be attached to your plant. I found some great screws in Antique Bronze at my local hardware store. The type of screw does not particularly matter, but I would recommend choosing a dark colored screw so that it will blend in with the soil. Place some dried moss in the center of the circle and mist it with water. Place your plant over the moss and cover the rest of the soil with additional moss, then spray with more water.